Water damage is a problem most homeowners face to some extent at some point. While some water damage is more severe than others, it’s important to remember that any type of water damage should be evaluated and addressed by the best water damage restoration companies in Alpharetta because ignoring the problem can lead to issues from mold later on. One area of water damage that many homeowners are uncomfortable dealing with is damage to the ceiling. If you’ve experienced this, here’s what you need to know. The first step in repairing a water-damaged ceiling is knowing what water damage to the ceiling looks like. This may seem obvious, but many times the first signs are overlooked until more substantial damage has already occurred. The most obvious signs of water damage are bulges or major discolorations. However, there are smaller signs to watch for like slight stains, peeling paint, or inconspicuous discolorations. 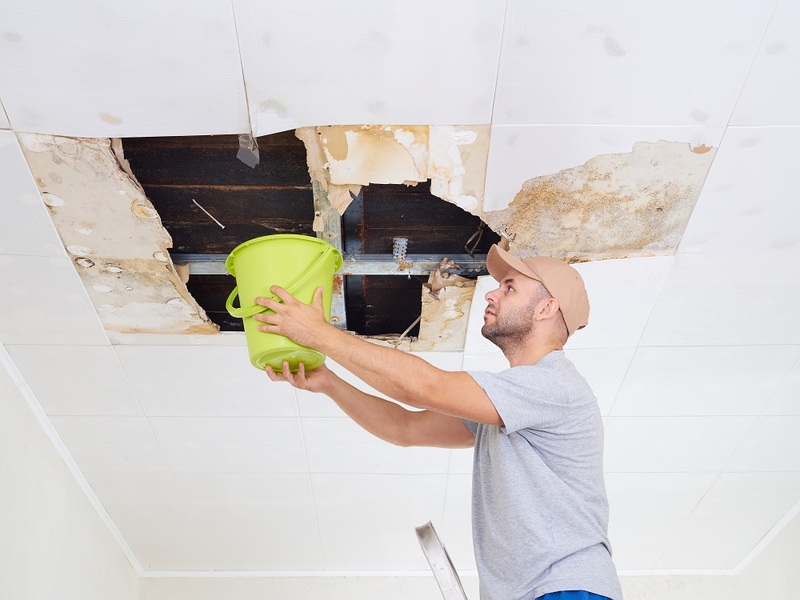 If you notice major signs of water damage like large bulges or bubbles, dripping water, or soft and spongy drywall, make sure to make immediate precautions before the ceiling breaks. Move any valuables or furnishings away from the area just in case the ceiling collapses. The next thing to do is to call emergency water removal in Alpharetta so that they can begin their mitigation process as soon as possible. It’s tempting to take care of water damage yourself, but not only is this hard to do properly in the easiest circumstances, water damage to the ceiling is more difficult than other areas of the home. The professionals can identify where the water is coming from in order to stop the leak, dry the area appropriately, and then clean and sanitize the area. These steps are all crucial for proper mitigation in preventing mold as a secondary problem. Once the restoration team has completely taken care of the water (and possible mold) problem, you can begin repairing the ceiling. The extent of repair depends on how deep the water penetrated and whether or not sections of the ceiling had to be removed. In many cases, the drywall will need to be replaced and then re-textured and painted. It’s best to repaint the entire ceiling rather than trying to match colors.